Tonight Randy is grilling steak for the crew. We all know I won't eat the steak, however I am surrounded by meat lovers. I asked him to do the grilling while I prepare all the side dishes and appetizers. He gladly did it, but then the usual followed. "How do you want me to make it?" Seriously? Just make it however you want to. I opened the cupboard to look for a marinade or sauce that would send him on his way. Have you heard of Two Fat Guys? Two Fat Guys sauces are crafted using only the finest natural ingredients, delivering a family of sauces that are gluten free, high fructose corn syrup free, fat free, cholesterol free, and low in sodium. I decided to have Randy pick 3 of the sauces and let everyone decide which one they liked the best. 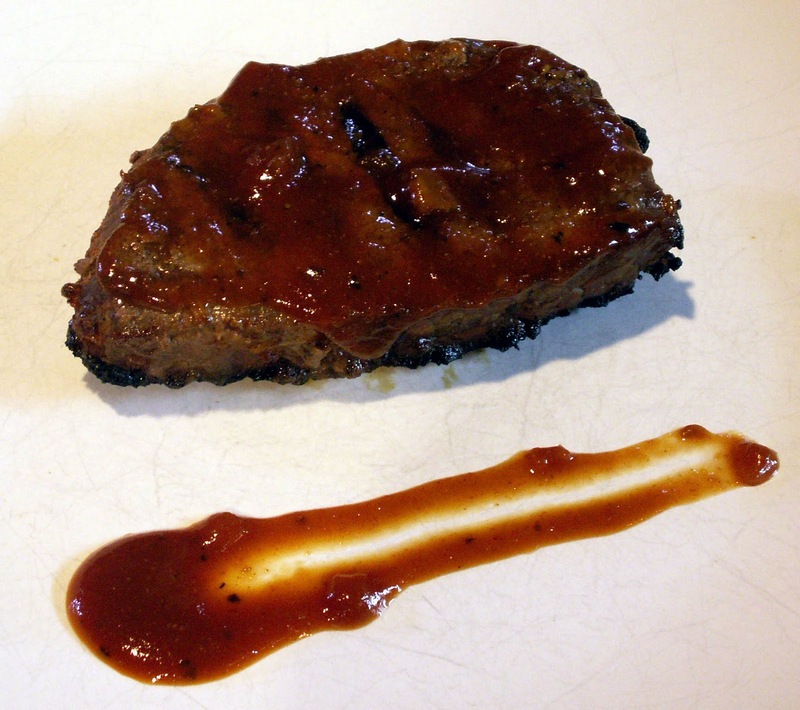 We pulled out the steak, cut it up into individual portions and covered different pieces with the different sauces and let them marinade for 30 minutes. Then threw them on the grill. We made two with the smoky, two with the spicy, two with lava hot. The lava hot was the most popular with the boys. These sauces are great to have, especially when you don't have time to make a sauce from scratch. 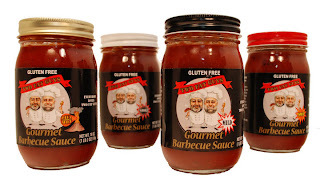 Visit Two Fat Guys to find out more about their great line of gluten free sauces.